The last game of the NBA’s 2014 Christmas schedule and the one promising to be the best as well, with the Golden State Warriors hoping to start a new win streak following a shocking loss to the weaker team of the city of Angels, facing the Los Angeles Clippers this time, who have some avenging to do. One of the best rivalries in the NBA today, the absence of Andrew Bogut means it could get a little less testy than in previous meetings. 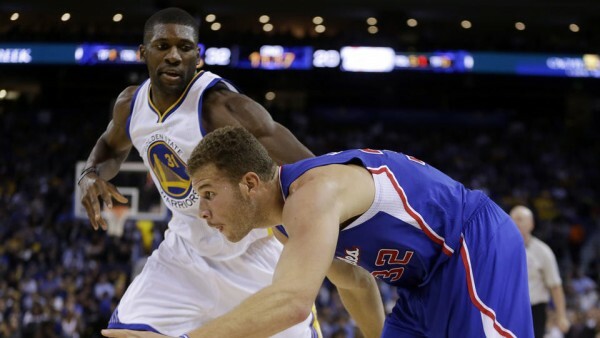 But the presence of Draymond Green and Festus Ezeli means Blake Griffin and his body parts aren’t safe in what has proven to be time after time a very volatile collision that often has more than just basketball in it. When it comes to basketball, the Warriors have been better than anyone this season. The fifth best offense and best defense (when Bogut is playing at least), led by Stephen Curry (23.4 points, 7.7 assists) but getting plenty of help from the entire lineup. Klay Thompson at 21.6 a night, Draymond Green surprising with 12.4 an evening, Harrison Barnes doing well in the starting five not to mention the power from the bench: Andre Iguodala, Leandro Barbosa, Shaun Livingston and now also David Lee, slowly making his way back from injury. The Clippers shouldn’t have a problem matching that bench, but the long list of veterans they’ve assembled isn’t doing as well. Jamal Crawford is dangerous as always off the bench with 16.1 points a night in 26 minutes, but Spencer Hawes hasn’t been playing or matching expectations, Hedo Turkoglu is somehow still in this league while both Jordan Farmar and Glen Davis haven’t been exactly lighting it up for the most part. The Clippers, despite the Doc Rivers effect (which might be overrated) remain a group that can be incredibly fun to watch at one moment, when the dunking machine and fast break are turned on to full power, and frustratingly stupid the other. Blake Griffin and Chris Paul both look like MVPs when everything is working fine, but the defense and simple rotations/switches are too difficult for him and DeAndre Jordan when they’re not in the mood. The two teams have already met once this season, as the Warriors crushed the Clippers in Oakland 121-104. Stephen Curry scored 28 points and was helped by Green with 24, with the Warriors leading by almost 30 points before some garbage time points by the visitors.